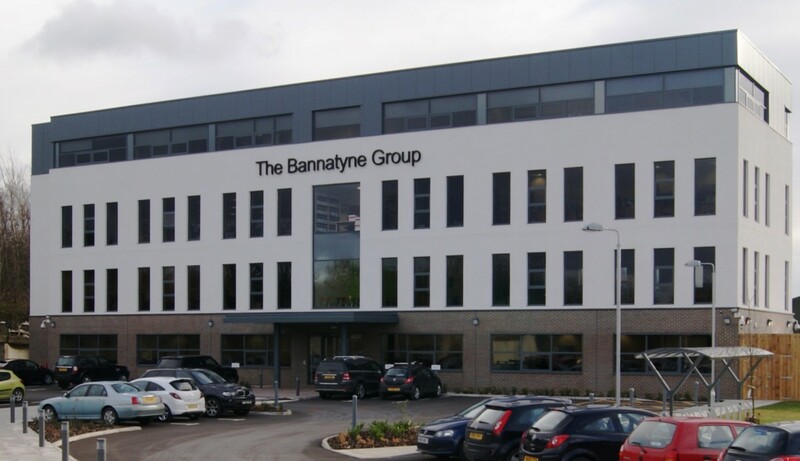 The new headquarters building for the Bannatyne Group located adjacent to the Bannatyne Health Club on the outskirts of Darlington town centre. This four storey office building provides 2,000m² of open plan office accommodation, including a well appointed directors suite on the third floor and office space for up to 130 people. As a result of the height of the building, it is visible from the East Coast Mainline running along the eastern boundary of the site.